Alyssa Birch, master’s of kinesiology student at California Baptist University, helps lead the women’s water polo team as a utility. Lancer of the Week is awarded to those who strive for excellence, both in their athletics and in their academics, and is a true leader and go-getter. Birch, a native of Calgary, Alberta, has played water polo since the age of 13 and at CBU since her freshman year. During her 2012 season at CBU, Birch scored 23 goals, helped with 22 assists and 30 steals. She was also named to the Association of Collegiate Water Polo Coaches All-Academic team. After red-shirting during the 2013 season, Birch is back in action and has scored three goals, helped with four assists and four steals so far in the eight games she has played with the Lancers this season. Morgan Barrows, senior liberal studies major, is a fellow teammate and Birch’s roommate. She describes Birch as the “mama bear” of the team for being the most serious and nurturing player on the team. Jonathan Miller, head coach of the women’s water polo team at CBU, sees Birch as a true leader in every sense of the word. Birch, 24, said she understands that she is one of the older players on the team and sees the importance of being more mature and responsible to develop a good rapport with her teammates both in and out of the water. 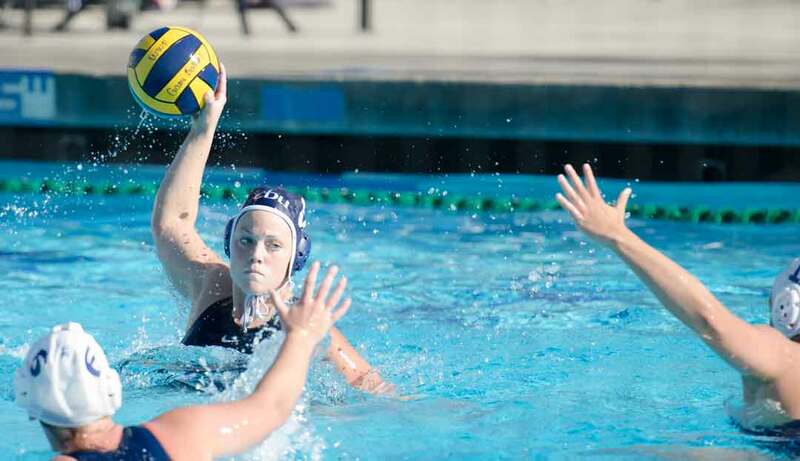 In the first year in the Golden Coast Conference, the women’s water polo team faces a challenging season playing top-ranked teams. Birch and the rest of the women’s water polo team look for success at their next home game at the Lancer Aquatic Center March 11 at 5 p.m.